The Southampton Chapter provides interested local women and men easy access to the WISTA network and the benefits of support, education and inspiration that the WISTA membership provides, locally, regionally and internationally. 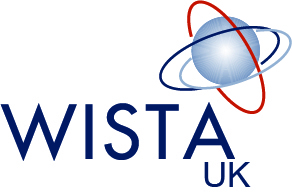 The local WISTA Southampton team is lead by Dr Kate Pike, with Emma Broadhurst and Natalie Vigar from Southampton Solent University, and Teresa Stevens of Guardian helping her. The WISTA UK Southampton team are hoping to welcome many new members to their chapter, from management to cadet level, both women and men. If you are able to host a meeting or would like to speak at a forthcoming event please contact us for more information. Thursday 26th Jan. The Grand Café, Southampton: 4.30 – 6.30. An informal New Year’s drop in social event to catch up on the latest news, network and to discuss future WISTA Southampton events. Thursday 9th March, 5 – 7. Venue TBC. Perspectives of women in the maritime the industry, with guest speakers. Thursday 11th May. 5.30 – 7pm. Venue TBC. Lectures on maritime security, with David Hammond (Human Rights at Sea) and Teresa Stevens (Guardian Maritime) confirmed speakers. September, date and venue TBC. Lecture on the cruise industry- education and employment opportunities. Speakers TBC. November, date and venue TBC. Drop in social event to round up of the year. Networking and early Christmas celebrations!